If you're looking to at-home genetic testing to discover "who you are," you may be destined for disappointment. Home genetic tests like 23andMe have grown more popular, and so too have stories of people surprised by their results. Sometimes they’re whimsical, like the German family that discovered they’re actually Scottish; other times they call whole identities into question, like the man who discovered his father had another son he didn’t know about, which led his parents to divorce. But a new study suggests that some of those “surprises” might just be mistakes. Ambry Genetics, a company that interprets data from consumer DNA tests, examined the raw data from 49 patients that had already received results from at-home tests. Its re-analysis, recently published in the journal Nature, found that 40 percent of the variants reported to patients were not actually present at all. Particularly cringe-worthy, MIT Technology Review reports that many of the false-positive calls were related to genes that are related to an increased cancer risk — meaning that tests could have given families a big scare for no reason. And this high error rate is particularly concerning given that the U.S. Food and Drug Administration just approved 23andMe to sell genetic tests for cancer risk. Sophisticated technology has made genetic testing more accessible than ever, giving us another way to sate our desire to know more about ourselves. Whether it’s our risk of developing Alzheimer’s or confirming a family legend about Native American relatives — or even our supposed “genetic compatibility” with a potential date — we’ve come to believe that genetics will tell us everything we might want to know. Yet these mistakes highlight what scientists and genetic counselors have warned the public about for years: that home genetic tests should be interpreted with the help of an expert, particularly when it comes to disease risk. Because of the complex interplay that happens between genetics, environment lifestyle, and health, genetic risk is not a definite. The same is true of consumer genetic tests that interpret ancestry — they’re not as straightforward as companies assert. 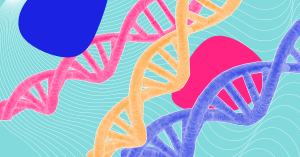 As NPR’s Gisele Grayson recently discovered of her own genes, the process of genetic recombination (when your embryo is formed from sperm and egg) means that you might have a genomic makeup that’s quite different from your parents or siblings. At-home genetic testing companies also base their information on that of all of the people they’ve already tested, meaning that their data on under-tested populations (that’s generally people of color) could be flawed; “the smaller the percentage of a population within a continent that is in the database, the less certain [genetic analyses] are,” Grayson wrote. If all of this really squashes your hope of using genetics to find out “who you are,” it might be useful to remember that human beings are a closely related species as it is. Mathematics and genetic research alike has found that every human currently alive shares a common ancestor as recently as 3,400 years ago. Yes, genetic tests are, disappointingly, imperfect. But don’t worry, in the long-run of human history, your genetic “ancestry” doesn’t mean all that much anyway.